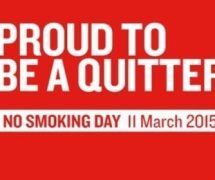 No Smoking Day this year ison Wednesday 11th March, which is today. 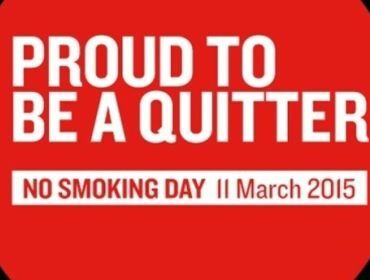 This annual campaign has enabled thousandsof people to quit for good over the years and we are pleased to support thisagain locally across RCT and Merthyr. Stopping smoking saves money. If you smoke 20 a day, you can save 3000 pounds in a year! Free friendly NHS support is availablefrom Stop Smoking Wales (tel 0800 085 2219) and your local community pharmacy .If you have enough people who want to quit at your setting, a specialistadvisor may be able to work with the group. You are four times more likelyto stop smoking using an NHS service than quitting alone. To receive your No SmokingDay pack and support on stopping smoking visit nosmokingday.org.uk and join theconversation on Twitter using the hashtag#NoSmokingDay. Please contact cerys.preece@wales.nhs.uk formore information on NSD, local services and support.